The White House budget for fiscal 2019 seeks major savings by repealing ObamaCare and endorsed a Senate GOP bill as the best way to do so. “The Budget supports a two-part approach to repealing and replacing Obamacare, starting with enactment of legislation modeled closely after the Graham-Cassidy-Heller-Johnson (GCHJ) bill as soon as possible,” the White House said in its budget request. The legislation from Sens. Lindsey Graham (R-S.C.), Bill Cassidy (R-La. ), Ron Johnson (R-Wis.) and Dean Heller (R-Nev.) would replace ObamaCare with a series of block grants to states. The budget proposes over $90 billion in savings over 10 years if the policies in the Graham-Cassidy bill were enacted. Combined with other provisions like Medicaid changes, the White House projects there would be nearly $675 billion in savings over a decade tied to repealing ObamaCare. Advocacy groups were quick to denounce the proposal, which is unlikely to gain traction in Congress. “By asking Congress to revive the deeply unpopular Graham-Cassidy repeal bill that ended protections for Americans with pre-existing conditions, gutted Medicaid, ripped away coverage from millions, and raised costs for millions more, while also proposing drastic cuts to Medicare, Trump has chosen to ignore the American public’s overwhelming preference for a bipartisan path forward on health care,” said Protect Our Care campaign director Brad Woodhouse. Republican leaders have signaled that they are not interested in diving back into the contentious ObamaCare repeal fight this year. The Senate last year failed to pass a repeal bill, and there is no indication that the votes have shifted since then. A number of Republicans have even discussed taking bipartisan actions to stabilize ObamaCare markets and try to bring down premiums through actions such as funding known as reinsurance. Graham has said he will continue fighting for his bill and is not completely alone. Sen. Ted Cruz (R-Texas) is also calling for Congress to not give up on repeal this year. Everyone seems to want lower drug prices. 5 reasons why that hasn’t happened. Of all his campaign promises, President Trump’s vow to bring down drug prices was perhaps the most popular. An assortment of interest groups spoke out loudly and passionately on the need for action, from hospitals to doctors to insurers to generic drug makers to patients themselves. And in many ways, they seem to have the clout, and resources, to counter drug makers’ slick ad campaigns and lobbying firepower. Last year, the American Medical Association, America’s Health Insurance Plans, and the American Hospital Association together spent more than $45 million lobbying Congress, almost twice what the drug makers’ group, PhRMA, spent in the same time period. Instead, congressional efforts to lower drug prices are at a total standstill. In interviews with STAT, lobbyists, lawmakers, and congressional staffers, Republicans and Democrats alike, said the most powerful health industry players conspicuously disagree about exactly how to move forward. Every group pushes its own priorities and strategies — a cacophony that makes it unlikely that crushing drug prices will change any time soon. Solving it, however, seems a stretch when just addressing it has gone nowhere. Despite President Trump’s insistence, on the campaign trail and in office, that he will lower drug prices, there has been no major federal effort to do so in the first year of his administration. The disarray was on full display at a recent congressional hearing, when representatives from nearly every major trade group with any stake in the country’s drug prices — AMA, AHIP, and AHA included — spent almost an hour and a half testifying without more than a cursory discussion of how Congress could fix the problem. When they finally did talk solutions, outside of buzzy phrases like “increase transparency,” almost none of their answers matched. So why can’t the broader health care industry agree on how to make drugs more affordable? Here are five factors. 1. Health care lobbyists are stuck playing defense. When it comes to drug pricing, hospitals, insurers, and PBMs in particular have spent the last year fending off congressional inquiries into their own business practices — leaving little time to go on the offensive. Meanwhile PhRMA has alternately pointed at hospitals, insurers, and PBMs as the profiteers in the current system. It’s “lobbying 101, to muddy the waters,” according to Rep. Peter Welch (D-Vt.). And in the complicated world of drug pricing, it’s an effective strategy. They’ve opened a similar front against insurers, ramping up rhetoric and backing new patient groups that decry how higher deductibles and copays mean steeper costs for consumers, even when list prices don’t change much. And they’ve accused hospitals of marking up the price of drugs and pocketing the difference, both in general and specifically as part of a push to overhaul the hot-button 340B drug discount program. “That disarray you talk about, it’s not accidental,” Welch said. “The flames of that are fanned by pharma, [which] is doing everything they can to create confusion about what’s the right remedy,” he said. PhRMA spokesman Robby Zirkelbach also said there was a reason for lawmakers’ interest in so many players: the validity of the concerns. He pointed to data that showed slowing growth of prescription drug prices and increasing copays and deductibles. And the tactic has successfully diverted lawmakers’ attention. Republicans in both chambers of Congress have held hearings in the past year looking at the “supply chain” that goes into the cost of drugs — broadening their spotlight from the companies that set the price to the other actors that can impact it. And lawmakers on both sides of the aisle say they want to better examine the vast array of players before they make any sudden policy moves. 2. Congress isn’t jumping to act. Beyond hearings, Congress hasn’t actually shown great appetite to tackle drug pricing. And that lethargy can dampen lobbyists’ enthusiasm to throw their weight and resources behind a given campaign or piece of legislation. One physician lobbyist called it a “chicken and the egg” problem, wondering whether it would be Congress or the industries to first signal their motivation to act. Case in point: the so-called CREATES Act. It’s one of the few pieces of drug price legislation that has the support of hospitals, insurers, doctors and a whole host of other groups and companies. But it’s languishing on Congress’s to-do list. The bill, like its counterpart, the Fast Generics Act, takes aim at what supporters call delay tactics that drug makers use to keep generic competitors off the market. The legislation would give generic manufacturers that are legitimately seeking product samples the right to sue the drug makers if they refuse to hand over those samples. It’s a small but meaningful change — the Congressional Budget Office has estimated that the legislation could save Medicare, Medicaid, and other federal government health programs more than $3 billion over 10 years. And industry has been pushing the legislation, albeit without the same urgency that’s animated other priorities. Together, many of the trade associations — along with some three dozen other groups and companies, including Walmart, CVS, and AARP — formed a coalition, the so-called Campaign for Sustainable Rx Pricing, to push the bill. They hired a handful of lobbyists who are largely focused on the issue, too, to the tune of $440,000 over 2017. Supporters were nonetheless optimistic about the path forward for the bill. Several lobbyists backing the effort, along with staffers in both the House and Senate, told STAT there is momentum on Capitol Hill to include the measure in an upcoming spending package since it could help offset some other spending. 3. Each industry has very different priorities, even when they do agree. Even when they do agree — as on CREATES, for example — health industry lobbyists don’t always prioritize the same issues. Some may have spent 2017 more focused on the repeal and replace of the Affordable Care Act than drug pricing. Others might have they used their meetings with lawmakers to defend a tax credit. Or perhaps some argue for other, more important drug pricing policies that need to be tackled first. “When you work with these other groups, they rank [policy proposals] differently. There are certain things they want first. So it’s not only about finding solutions you can agree on, but about which ones you want to do first,” one patient advocate told STAT. Drug makers, on the other hand? Pricing is their primary concern. 4. All the major players have a stake in the status quo. Academics had another easy explanation for the lack of consensus — and the lack of concerted effort — from health care industry groups that profess an interest in lowering drug prices. They all profit from the current system. Hospitals are paying more for drugs for patients admitted to the hospital, but on the flip side, at least some facilities are profiting from reimbursements for drugs in outpatient settings and in their own specialty pharmacies, according to Peter Bach, the director of Memorial Sloan Kettering’s Center for Health Policy and Outcomes. PBMs also earn bigger rebates if the list prices are higher. And doctors, too, make more money under Medicare rules if they administer a more expensive drug to a given patient. 5. 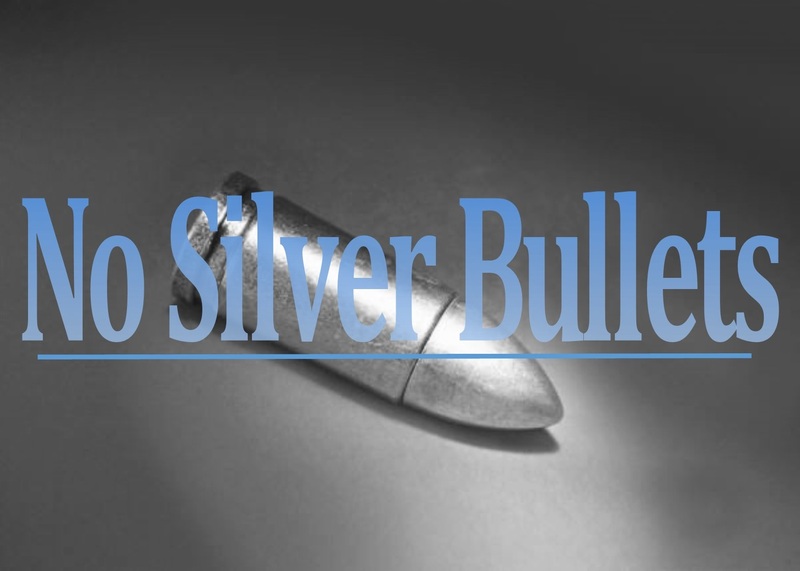 There’s no silver bullet. It’s not as if there’s one easy solution, ripe for the picking, if only groups could agree on it, several trade association officials told STAT. The piecemeal approach — getting behind policies like CREATES and then turning to other, smaller issues — may be the best way to approach the issue, they argued. Similarly, lawmakers said there’s no one fix. Mitchell, along with a spokesman for the Association of Accessible Medicines, which represents generic manufacturers, also pointed to growing consensus behind smaller, targeted policies that would keep branded drug manufacturers from “gaming the system” — policies like CREATES and other changes to the patent system that could garner broader support. They each noted, too, that newly confirmed Health and Human Services Secretary Alex Azar, himself a former drug company executive, had voiced support for those changes during confirmation hearings. They also preached patience. Bach, a former senior adviser to the Centers for Medicare and Medicaid Services, likened the push to the decades of jockeying between various environmental groups over fossil fuel regulation. More than 50 health-care organizations are urging Congress to quickly pass a package of Medicare extenders, ideally in an upcoming short-term spending bill, arguing the delay could hurt seniors. “Now that we are well into 2018, Congress’ inaction on these important Medicare policies could mean real harm to the vulnerable patients we serve,” the groups, including the Caregiver Action Network, Medicare Rights Center and National Partnership for Hospice Innovation, wrote in a letter sent Friday to Republican and Democratic leaders. Several Medicare programs expired last year. Other health-care programs in need of a long-term funding renewal include special diabetes programs and the community health centers that serve the nation’s most vulnerable. The last stop-gap spending bill came on the heels of a three-day government shutdown and included funding for the Children’s Health Insurance Program. Senate Majority Leader Mitch McConnell (R-Ky.) predicted Thursday that the government wouldn’t shut down again, as Congress will race to keep the government’s lights on when it returns next week. Short-term funding legislation hasn’t been released, and it’s unclear if extensions of health programs will make it into the final product. The House version of the tax bill, which President Donald Trump endorsed on Tuesday, would end a deduction that allows families of disabled children and elderly people to write off large medical expenses. The Senate plan would repeal the Obamacare requirement that most Americans carry insurance, a move that insurers promise would raise premiums in the nationwide individual insurance market. The provisions would help offset the cost of large tax cuts for corporations and individuals. But the move has sparked a new wave of opposition from the health-care industry and others who are concerned about its impact — the same political headwinds that tanked Republican efforts to repeal the Affordable Care Act earlier this year. Either proposal, if signed into law, “could be devastating for some families with disabilities,” said Kim Musheno, vice president of public policy at the Autism Society, a Bethesda, Maryland, organization that advocates for people with autism. “Families depend on that deduction. And if they deal with the individual mandate, that’s going to cut 13 million people from their health care,” she said, citing a Congressional Budget Office estimate. Republicans and some conservative groups, though, argue that removing the penalty for uninsured individuals would represent a tax cut for many low-income people who pay it now. Americans for Tax Reform, the group led by anti-tax crusader Grover Norquist, said that Internal Revenue Service data from tax year 2015 show that 79 percent of households that paid the penalty earned less than $50,000 a year. Most Americans already think the tax legislation is designed to benefit the rich and oppose the bill by a two-to-one margin, according to a Quinnipiac University poll released on Wednesday. The survey was conducted between Nov. 7 and Nov. 13 — before the repeal of the Obamacare mandate was introduced — and has a margin of error of 3 percentage points. Some of the details in both tax plans have changed since the survey, and the Senate tax-writing committee is still working on its draft. Few Republicans have spoken out about the House bill’s repeal of the medical-expense break. The bill faces a vote on the House floor Thursday. But some criticism has begun to surface as advocacy groups including the AARP and the American Cancer Society have highlighted the harm the House bill could have on families battling diseases and on the elderly. People with tens of thousands of dollars in annual medical expenses often rely on the tax deduction to make ends meet. Representative Walter Jones, a North Carolina Republican, said Wednesday he’ll vote against the House bill in part because it eliminates the deduction for out-of-pocket medical expenses. “There are a lot of seniors in my district and this is life and death for them,” he said. The deduction is allowed under current law if medical expenses exceed 10 percent of a taxpayer’s adjusted gross income. Almost 9 million taxpayers deducted about $87 billion in medical expenses for the 2015 tax year, according to the IRS. Representative Greg Walden, an Oregon Republican who chairs the Energy and Commerce Committee, said some of his constituents who live in expensive elder-care facilities could be harmed if the deduction is scrapped. On the other side of the Capitol, Senate Republican leaders’ sudden decision to add a partial Obamacare repeal to their bill has energized Democratic opposition. “You don’t fix the health insurance system by throwing it into a tax bill and causing premiums to go up 10 percent,” Senator Sherrod Brown, an Ohio Democrat, told reporters Wednesday. Were the ACA’s insurance mandate repealed absent a new policy to compel the purchase of coverage, the CBO projects that premiums would rise 10 percent for people who buy insurance on their own and more than 13 million Americans would lose or drop their coverage. But a reduction in the number of people with insurance also translates to less taxpayer money spent to provide subsidies for premiums under the ACA. Ending the requirement as of 2019 would save the government an estimated $318 billion, helping to offset the cost of lowering the corporate tax rate. In addition, the Senate’s tax plan could trigger sharp cuts to Medicare and other programs in order to meet budget deficit rules, according to CBO. The move to target Obamacare comes after Republicans lost elections in Virginia and other states earlier this month. Health care was a significant factor in those races and Republicans will face punishing campaign ads if they try to chip away at Obamacare or end the medical-expense deduction while cutting taxes, said political analyst David Axelrod, a former top adviser to President Barack Obama. Trump, though, has said proceeds from repealing the insurance mandate should be used to cut taxes even further for wealthy people. Like Republicans’ failed attempts to repeal the ACA, the tax plan is amassing a growing list of opponents from the world of medicine. “Repealing the individual mandate without a workable alternative will reduce enrollment, further destabilizing an already fragile individual and small group health insurance market on which more than 10 million Americans rely,” said the letter, signed by six health-care groups, including the American Hospital Association and America’s Health Insurance Plans.